Befuddle (Benebeln) inkl. 0% MwSt. Regeltext: Target creature gets -4/-0 until end of turn. 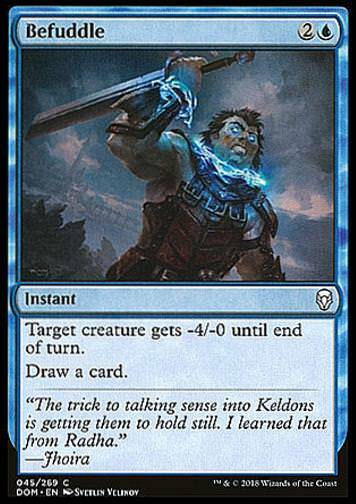 Flavourtext: "The trick to talking sense into Keldons is getting them to hold still. I learned that from Radha."